The best way to learn about Romantic poetry is to plunge in and read a few Romantic poems. This book guides the new reader through this experience, focusing on canonical authors - Wordsworth, Coleridge, Byron, Keats, Blake and Shelley - whilst also including less familiar figures as well. Each chapter explains the history and development of a genre or sets out an important context for the poetry, with a wealth of practical examples. Michael Ferber emphasizes connections between poets as they responded to each other and to great literary, social and historical changes around them. A unique appendix resolves most difficulties new readers of works from this period might face: unfamiliar words, unusual word order, the subjunctive mood and meter. 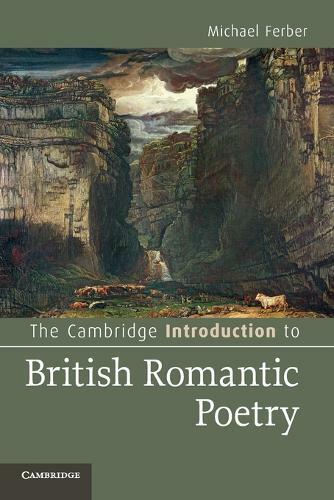 This enjoyable and stimulating book is an ideal introduction to some of the most powerful and pleasing poems in the English language, written in one of the greatest periods in English poetry.